This week, Your News to Know is here with the latest roundup of top stories from the world of finance and the gold market. 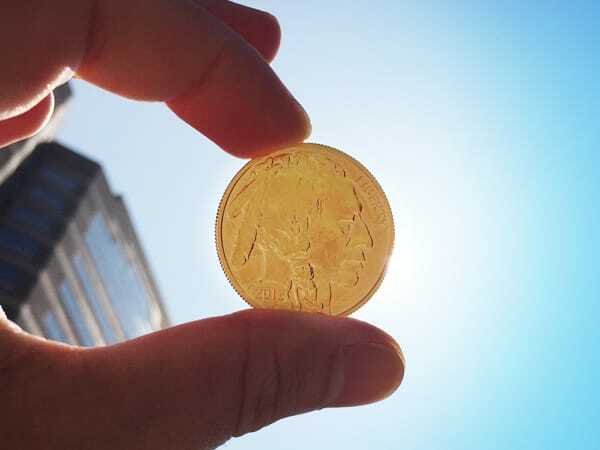 Stories include: Silver and gold rally to highest level since 2014, gold poised to go much higher according to expert, and U.K. expedition looks into the possibility of a deep sea gold rush. Riding on the heels of an unexpected British exit from the European Union, on Tuesday gold and silver have rallied to reach their highest levels since 2014. As reported by MarketWatch’s Myra P. Saefong, Brexit served to highlight the safe-haven value of precious metals among investors. Making the case for precious metals even further were comments made by Bank of England Governor Mark Carney, who said Britain is facing a “period of uncertainty and economic adjustment” and strongly hinted towards a U.K. quantitative easing plan in the near future. Precious metals might have enjoyed sizeable gains in the wake of Brexit, but other assets weren’t so lucky; most European shares plummeted while U.S. equities faced similar difficulties. Likewise, the pound’s dive against the greenback shows no signs of slowing down. And while some worry that silver’s rally happened too fast, experts like BullionVault’s head of research Adrian Ash remind investors that “silver explodes when markets smell central-bank inflation ahead”. When one adds to this the Fed’s reluctance to act in the immediate aftermath of Britain’s exit, it’s easy to see why gold and silver might have a great summer ahead. There aren’t many good hedges for your savings around right now – but gold is one of them, and it could even be poised to move much higher in price. That’s according to BlackRock’s Russ Koesterich who, like many investors around the world, likes gold a lot more after recent events. Talking to CNBC, Koesterich explained how the current environment suits gold perfectly; the opportunity cost of owning gold is no longer an issue with low or negative interest rates, making it the perfect hedge against uncertainty. And with bond yields falling everywhere, it’s no surprise that investors have flocked to gold and facilitated its rally in 2016 of over 25%. Until recently, deep sea mining was virtually unheard of, and every notable mining effort focused exclusively on land deposits. But now, scientists and government heads alike are beginning to see the great potential of this form of prospecting. In fact, a scientific expedition has been launched from the U.K. that aims to evaluate the potential of these deposits and what they could mean for the mining industry. So far, scientists aboard the RSS James Cook headed by Bramley Murton see little reason not to be optimistic – their first mission involves an underwater ridge in the middle of the Atlantic that frequently sees volcanic activity. This activity drives hot springs in the area, which have become known as black smokers. The industrial uses for these metals are numerous and include smartphone and aircraft manufacturing as well as green energy projects. Unfortunately, acquisition can prove difficult as China has a monopoly on many of them – furthermore, some metals are mined almost exclusively in a single country, such as Congo’s cobalt. Should the metals prove to be in good condition and unaffected by rust, the potential bounty could be huge: British Prime Minister David Cameron said that underwater mining endeavors could be worth £40 billion to the U.K. alone. Aside from increased safety, this type of mining is also attractive thanks to a much greater concentration of the metals. As an example, Murton contrasts copper’s 25-30% concentration of deposits under water to the 2% found on land. With so many countries around the world mobilizing to take advantage of new and exciting mining opportunities, environmentalists have expressed concerns that underwater mining could damage the diverse and colorful life forms that inhabit the seabed. However, Murton reassured concerned parties that no mining endeavors would take place near active hydrothermal systems that are home to numerous unique species and ecosystems, adding that biologists and scientists working on the project are closely monitoring the potential environmental impact that the venture could have.